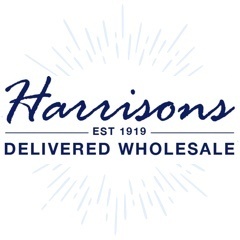 For wholesale baby products Harrisons Direct has everything you need and all with next day delivery. We are the one-stop shop for wholesale baby products, with fantastic prices on everything from bath care to nappies! As the one-stop shop for wholesale baby products Harrisons Direct has a wide range of items to meet all requirements! For bathtime we have wholesale bubble baths and wholesale baby oils, wholesale baby shampoos and baby washes. To keep baby clean and dry we have a good selection of wholesale nappies, baby wipes and nappy cream to help ensure baby is happy and comfortable! For the swimming pool and holidays we also have wholesale Little Swimmers - swimming nappies especially designed to keep baby dry when swimming. It is easy to view and order via our website. You can search the entire catalogue by item name or browse through the categories to find what you need. We are confident that you will be impressed by our range of wholesale baby products and find everything you need right here on our site! Need more information on our wholesale baby products? Call us today on 01254 306840 and a member of our dedicated customer care team will be happy to assist you! We're Red Rose Awards Finalists!